Henry (Christian Slater) is a middle-class efficiency expert living a humdrum life in the suburbs with his wife, kids, dog, and a minivan. Edward (Slater) is an operative who speaks 13 languages, runs a four-minute mile, and is trained to kill. The one thing Henry and Edward have in common is they share the same body. But when the carefully constructed wall between them breaks down, these polar opposites are thrust into unfamiliar territory where each man is dangerously out of his element. Also starring Alfre Woodard (Desperate Housewives), Mike O&rsquo;Malley (Yes Dear), M&auml;dchen Amick (Gossip Girl) and Taylor Lautner (Twilight), plus powerful guest stars such as James Cromwell (LA Confidential). Download My Own Worst Enemy in Digital HD from the iTunes store. 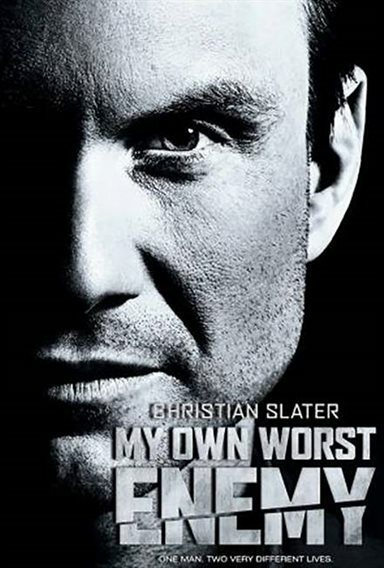 My Own Worst Enemy images are © Universal Pictures. All Rights Reserved.